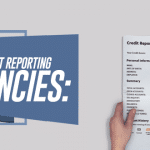 In simple words, fair credit is the term used to address a failed financial transaction or billing errors especially if the transaction was made online. The Fair Credit Billing Act is there to protect the consumers from unfair and fraud billing practices. Credit card is the most preferred billing method for most financial transactions whether it is used to buy products online or to pay for anything you buy offline. Sometimes due to faults in the computer billing procedures billing errors will occur during the transactions. Examples for these billing errors are charging the wrong amount, charges imposed for the goods that are not delivered or if the damaged product is delivered or purposely charging for the failed transactions. The best example in this context would be charging twice for the same item by your credit card company. The US emerged as the top consumer-market based economy during the early 1970’s. Online Trading and retail marketing financial transactions started on a large scale. The Fair Credit Billing Act was enacted in 1974 by the US as a federal law to safeguard the consumers from all kinds of billing errors and intentional billing frauds. Thereafter, other countries started enacting the same kind of law. Basically the act describes the dispute settlement mechanism for such kind of billing errors. The law enforces consumers rights and provides grievance redressal by imposing fine, asking the creditor to provide compensations if the fraud or intentional error done is proved. The above law is mainly applicable to open-end credit accounts like debit cards and credit cards. Unfortunately the act is not applicable to the products purchased through installments like EMI. Many people often purchase cars, houses, furniture on monthly installments and repay it over time (those are not included in this Act). In other cases, the law also doesn’t apply to disputes related to quality of the product or the quality of the service offered. However, if you have purchased a product through credit card, legal actions can be taken against the card issuing authority or the bank. The dispute settlement mechanism procedure involves the buyer sending a complaint or dispute in written form within 60 days of the statement date or date of receiving the product. Another negative point of the act is that you cannot log a dispute over the phone. After receiving complaint from the consumer the creditor must resolve the issue within 30 days including the supporting documents if the statement made is legitimate. The act also offers protection during identity theft i.e if your debit card,credit cards are lost or stolen. Unauthorized use of our credit card by identity thieves leads to unauthorized charges on the statements. Under this act credit card owners are liable to pay a fine of $50 for any unauthorized use. If you report to the card authorities about a lost card you are not liable for unauthorized use. Errors in transactions are often in retail purchases made online. Promptly opening your monthly statements, comparing them with the purchased receipts and reporting discrepancies is the best way to safeguard your hard-earned money.